Notably, at least 21 trains were diverted and 18 were cancelled today. Jaipur: At least 15 trains have been cancelled and eight diverted for tomorrow due to the ongoing Gujjar reservation agitation in Rajasthan, news agency ANI reported. Further, 15 trains for February 13th have also been cancelled. The community is demanding five per cent separate reservation for Gujjar, Raika-Rebari, Gadia Luhar, Banjara and Gadaria communities in government jobs and educational institutions. Reiterating the community’s intentions, Bainsla brought up the demand for a fresh quota at a community meeting held in Ajmer. “State government should clarify its stand on the reservation issue in 20 days failing which I will stage protest,” Gujjar Arakshan Sangharsh Samiti (GASS) leader Kirori Singh Bainsla had earlier told reporters. 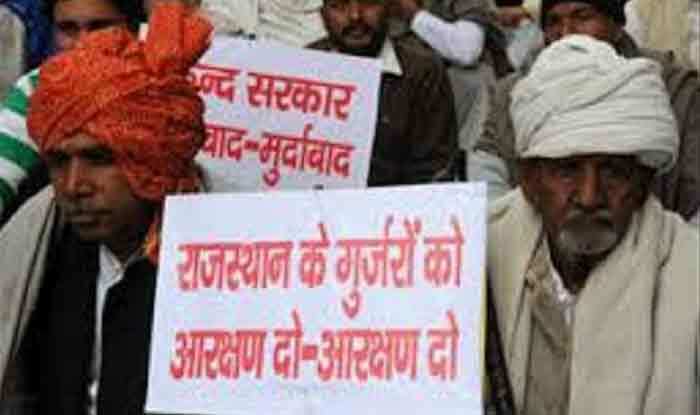 Notably, Gujjars in Rajasthan already have one per cent reservation in the ‘most backward’ category but are demanding 5-per cent quota under the legal limit of 50 per cent reservation.